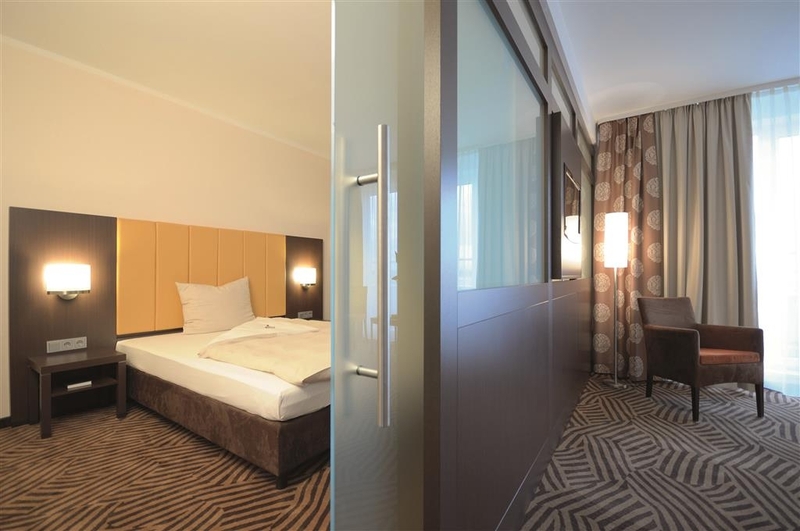 The Best Western soibelmanns Frankfurt Airport is ideally located in the center of Gross Gerau. Come and experience our hotel near the major tourist attractions. Best price guaranteed and exclusive deals. 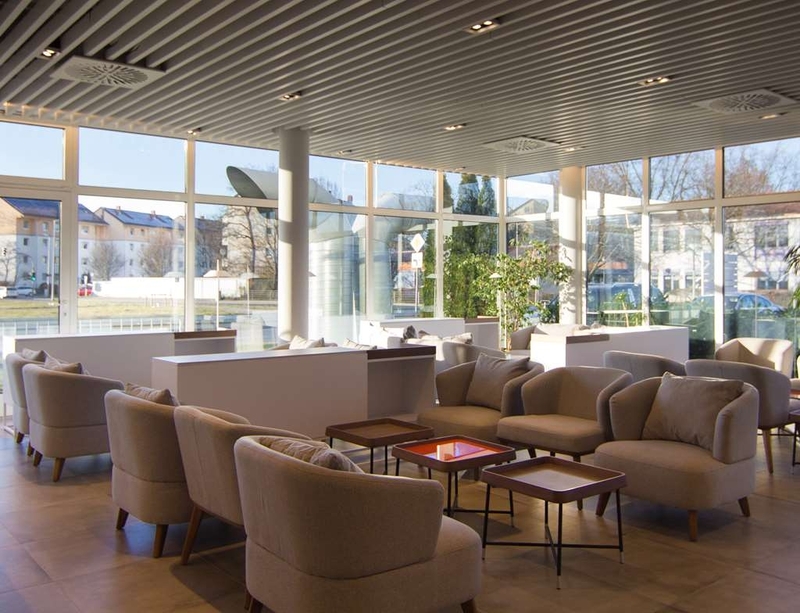 Welcome to the renovated Best Western soibelmanns Frankfurt Airport just ten minutes from Frankfurt Airport and 30 minutes from the Frankfurt fairgrounds. Our guest rooms include complimentary high-speed Internet/wireless LAN access in all rooms. 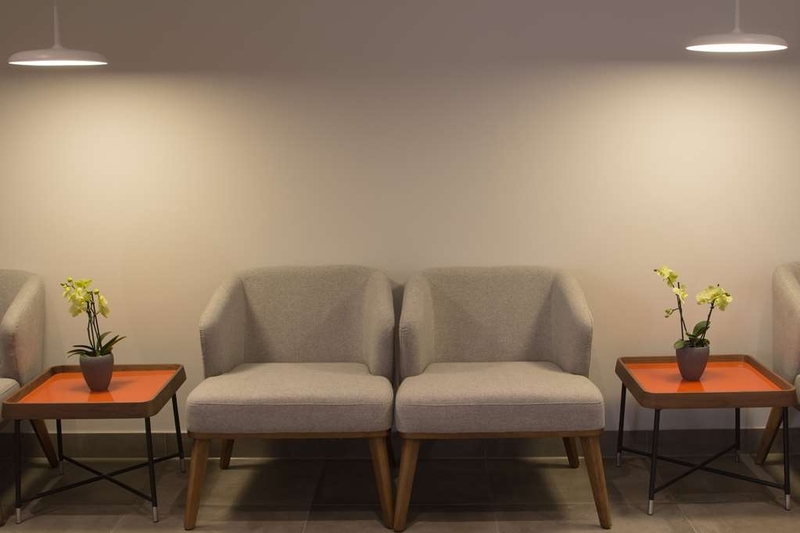 Other amenities include an on-site restaurant, terrace and meeting rooms. Shuttle service is available on request (charges apply) and free parking is available. Enjoy your stay. "Adequate (barely) when nothing else is open, but otherwise, stay elsewhere"
The bed is very uncomfortable and too low. A single pillow & blanket like in a hostel. Wifi is almost non existent - no chance to work or even open web pages. No restaurant at the property tho breakfast is served. Spent a long time to check in because the receptionist was chatting with a colleague. "Not Close to the Airport ($60 USD taxi! ), No Air Conditioning, Awful WiFi"
This hotel is very disappointing. There is no air conditioning with stifling hot rooms with windows that barely open, the WiFi sporadically works and even then is excruciating slow, and the hotel advertises as an "airport" hotel but is a $60 USD taxi ride from the airport. It is very disappointing for the Best Western brand. The one nice thing I can say is that the breakfast is pretty OK.
"Location and service were the only good points, not good for business travellers!" Having to book at a fairly late stage, I chose a Best Western hotel as usually it means you know what you are getting.....or so I thought! On arrival all seemed well, there was a decent sized free car park out front, and reception area seemed very modern. Reception staff were very friendly during check-in, then it all went very wrong: 1. After check-in I was informed Wi-Fi was 100% available, in the reception foyer only and it "might" be available in my room. I was only on 1st floor, and it wasn't. Fairly shocking to not have internet access in a hotel room in 2018, and quite inconvenient. 2. The room has NO air-conditioning, and as it was 30 degrees Celsius outside, it was not a comfortable night. 3. The TV only had a few local German channels available, no international channels. Considering I had had a deluxe Queen room, it was very poor. For a Best Western (allegedly refurbished recently), the basic amenities in a "deluxe" room were simply not good enough for a business traveller. Staff were friendly, and location is good for Frankfurt airport, only main selling points I'm afraid. "Close to the airport "
"Nice and big room but we missed the previous excellent breakfast"
We stayed just one night at the unit 402. It has a spacious room (looks like a small conference room with a central table with four chairs), a bedroom and a bathroom. It was clean and comfortable, and the hotel location is very convenient for who is driving to the airport, just 25 km away just on highways. The hotel grounds has parking spaces and they are free. We were in this same hotel in Sep-2010 and it had an excellent breakfast, but unfortunately, we did not have too much time to enjoy it since we had an early train departure to Amsterdam. This time our flight was only at afternoon, so we were expecting to enjoy it with more time, but it changed a lot, from excellent to a poor breakfast, without coffee machine, no fruits, few options and really slow replacement of cheese, meat and bread. Still a convenient hotel to sleep before going to the FRA airport. I booked this hotel because it was a Best Western and thought nothing can go wrong. They offer a shuttle from the airport, but there was no shuttle, it seemed that the driver was sick, so they send a taxi to pick me up, that turned out to be EU35 that they didnt want to pay. They offer rooms with free wifi, but it just works at the lobby. Although it looks to be renovated, the hotel smells like rotten eggs. I would not recommend it at all. The hotel is near the main road from Frankfurt to the south. Approx 15km from the airport. Rooms are nice and clean, but a bit smelly. I had a problem with my TV, and one of the stuff came immediately to fix it. The internet is free, but not stable and not strong. Breakfast is good in German terms. If you buy a drink in the Evenjoint it is expensive. "MONEY GRUBBERS Dishonest Management. Will Never stay here AGAIN"
I have booked here for the past three years for a group of travelers arriving mostly from the USA but a few from Europe also. Other teams book here as well but this hotel in years past has been nice, even though the price you are paying surpasses the quality of the room. We stay here though due to the convenience so they have us captive. This year April 2016 I book as usual through an online search engine which tends to be much cheaper than going direct both to which are still over priced during this weekend for the type of rooms they have. You can get the rooms a week earlier or later for almost 90% cheaper. I reserved / booked four months earlier. I arrived into Frankfurt 2 weeks before we were to stay here, I always stop in to make sure everything is good. This year I was told I could get the rooms cheaper if I booked through them but I would need to cancel my booking from Booking.com. I was told I would save about 25 to 30 euros per room and I had 14 rooms reserved. I did this and was told that management would call me with new booking information etc etc. I assumed all would be well due to the fact I had stayed here before and management had always treated us well and knew me by first name. I received an email from Christiane Krahl -Assistant Manager- basically telling me that I would not receive my new 14 room with a reduced rate due to the fact the rooms they told me to cancel were automatically given to guest on a waiting list. ( COULD YOU IMAGINE THIS HAPPENING TO YOU TWO WEEKS OUT WITH ALL HOTELS IN THE AREA ALMOST SOLD OUT... Long story short they gave me rooms again after constructive conversation and getting upper management involved but it took three days. Those rooms were not discounted and cost more than what I had originally booked on Bookings. Karma was with me we stayed at the competitor in the city center of Gross Gerau. It was an amazing hotel and they accommodate us for all 14 rooms that were far superior than those at the Best Western and cheaper in price, something that turned out bad lead us to a better place. Several other team left the Best Western and Joined us at the same hotel a day or two later for this long weekend. On business trip in Frankfurt, checked in in the Best Western Hotel Frankfurt Airport. Hotel kitchen was closed at 21:00pm. No way to get any food. No room service. Reception staff was not very friendly. Probably hotel for people medium to long stay. Very noisy. There was a fully equipped kitchen in my room. Wifi was very slow. Quite small area to get breakfast. When everybody has breakfast it was difficult to get down with the elevator. The name of this airport is false advertising, it is 15-25 minutes away from the airport depending on traffic and how fast you drive on the autobahn. And their shuttle which they charge 15 euro per room for is only big enough to take three people with their luggage to the airport. We got in late so paid 50 euro taxi ride. The next morning 3 people from our party had to go to airport ahead of us because of the small "shuttle". When my husband and I were waiting in the lobby. I went over to the carafe of fruit water they had and the girl at the front counter YELLED at me saying that was for the "group", there was no one in the lobby except us. She could have refilled it after we left. Instead she managed to just embarrass me and PISS me off. "Best hotel in Frankfurt airport"
Very good , clean hotel near Frankfurt and Frankfurt airport , with excellent large rooms and excellent beds. Parking and good personal. Quite place with good view from your windows. Non smoking rooms. Really good. "Stop two of the trip"
The good: We had the Suite on the top floor offering excellent views and a balcony that went completely around the property...even to other rooms. Bed was very comfy, breakfast was tasty, all facilities were nice. The Bad: There was no AC in the room and the bedroom portion of the suite had no window making it very stuffy, but there was a fan provided. I would stay here again if ever back in the area. "Far from airport and city "
I stayed here 5 nights for the fair in Frankfurt. The hotel is in a village out is the city , that offers a couple of restaurants and other services , but reaching the city is quite complex and expensive . At least one hour to go. Hotel inside is comfortable and good priced. "Very good breakfast, nice room"
The room was good, the bed slept well. The room was spacious enough. There was enough room on the parking place in front of the hotel. We were passing through on our way to Austria, the hotel was close to the Auto-Bahn. We had a late check inn and this was ok. The breakfast was really good. Warm and cold stuff, from good quality. The problem is that we also picked out this hotel because they promised WiFi, and we had no WiFI connection at all. Not at night and not the next morning. The lady at the reception was clueless how to solve the WiFi problem for us. Good facilities, you get what you pay for. Although the name, Frankfurt Airport is quite misleading as its more than 15 minutes drive on the Auto-Bahn. The only problem is the internet connection, its super slow & doesnt work in the morning, as it needs to sleep too..
"Last night before returning from FRA"
We were pleasantly surprised by the hotel. It was very easy to find and convenient (if saddled with a rental car) to FRA. It's about a 15 minute drive to the airport. 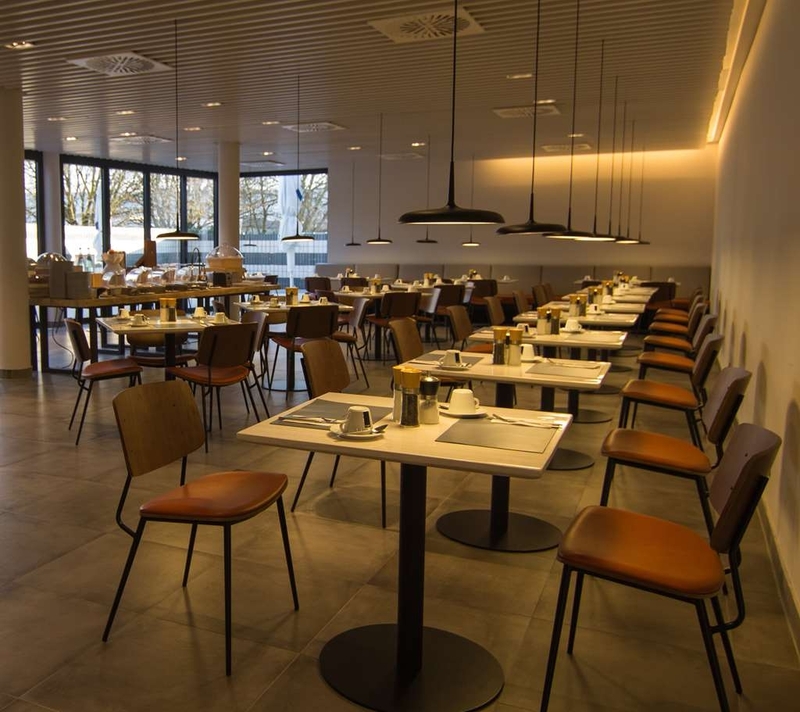 There are several good restaurants in Gross-Gerau. We loved the queen sized bed - no crack between like many European hotels. "Good Sized Rooms, Close to FRA Airport but quite far from Frankfurt City..."
I enjoyed my one night stay over at the Best Western Frankfurt Airport. The hotel itself is on the other side of Frankfurt city with FRA airport inbetween so if you are traveling to/from Frankfurt City expect a longer commute and a pricey taxi ride. The room itself was of generous size, very spacious with lounge (table chairs for meetings along with a work table) and a separated sleeping area and decent size bathrooms. Perfect for family trips with kids...Decent breakfast served... I would recommend if you are looking for a decent stay closer to airport for a early morning or late evening flight to catch... The airport shuttle fills up pretty quick so had to arrange for a private taxi to airport at a reasonable cost of 15 Euros which was not bad. "convenient for the airport but pretty basic"
Nice hotel with helpful staff and good food but is in need of some update. Carpeting stained very bad and needs replacement. Breakfast is good and the dinner menu excellent. Rooms were clean as was the restaurant and lobby. Reasonable shuttle fee of 15 E to airport. Good for a one night stopover. Was staying for 1 night passing through for international flight. The service was great and the food was delicious. I would not hesitate to stay there on another visit. It was not close to city centre but I did not need to be on this visit. If no car rental may not be a good choice otherwise. "Very Far from the Airport !!" I stayed at this hotel in January on business & I don't understand how or why they call it an Airport Hotel ? Otherwise the rooms, breakfast and the hotel is Great. I had dinner at their restaurant ( as everything else was very far ) and they need to add a few more options in the Menu. "Nice room, but hotel restaurant closed"
Stayed here as a stop over. We wanted a reasonable hotel where we could eat and stay the night before travelling on the next day. The rooms were very nice, but there was no restaurant open. This was a Friday night in a major European city, so I found this very surprising. The solution from the Hotel was for the receptionist to offer to ring for a take away pizza. As we had had nothing to eat, we did take them up on the offer (at our cost). We then sat in the bar and ate the take away pizza from the box it was delivered in. The hotel is also inadequately staffed as the receptionist was also the bar maid. The restaurant was then open for breakfast on the Saturday morning. We received no apology or explanation, save that the restaurant was closed. 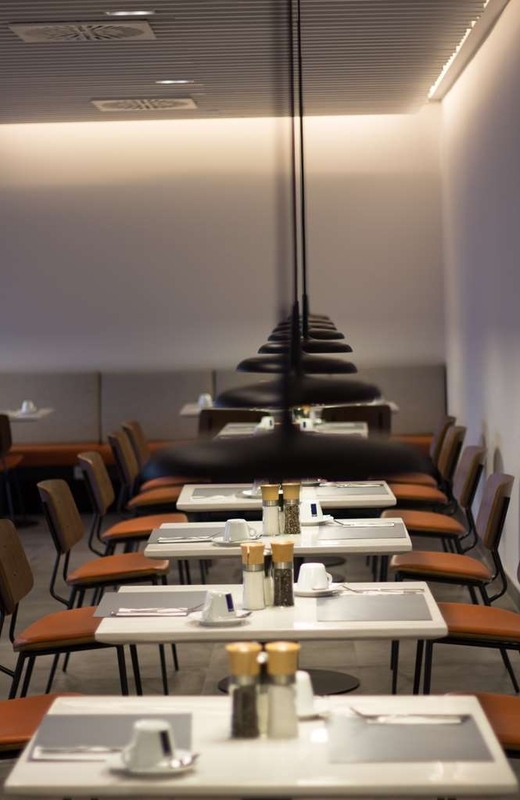 If you intend staying in Frankfurt and want a reasonable hotel at a very reasonable price, I would suggest checking whether the restaurant is open, or eating before you arrive.